The Industry Research and Development Act 1986 requires all applications for registration to be received by the IR&D Board within 10 months of the end of your company’s financial year end. For example, a December year-end company must lodge its application by 31 October of the following year. A June year-end company must lodge its application by 30 April of the following year. The ATO tax return lodgement date for large and new companies is considerably less than 10 months and for smaller existing companies is greater than 10 months. The convention to date has been to accept the 10 month deadline set by the IR&D Act 1986, irrespective of the tax return lodgement date. PLEASE NOTE: There is an obvious conflict of timing between registration with AusIndustry and lodgement with the ATO. Effective 2003/04, the ATO Tax Concession Schedule must be submitted as part of the company’s annual tax return. Electronic lodgement of the company annual tax return cannot be effected without an AusIndustry registration number. Where a hard copy submission is made without an AusIndustry registration number, a query will be generated. In effect where the company annual tax return lodgement date is less than 10 months after the end of the financial year, you have the choice of obtaining registration by AusIndustry before that lodgement date to facilitate electronic lodgement. 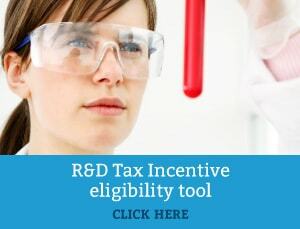 Alternately, all R&D costings could be finalised to allow for hard copy lodgement without a registration number from AusIndustry. The registration number could then be supplied at a later date. If the company annual tax return lodgement date is more than 10 months after the end of the financial year, you have no option but to register with AusIndustry before the ten months deadline. None of the above applies to applications for the Tax Offset. The applicant MUST be registered with AusIndustry BEFORE the company annual tax return is submitted. For more information on our training options for your team, fill in the contact form on this page or call us on 1800 792 676.